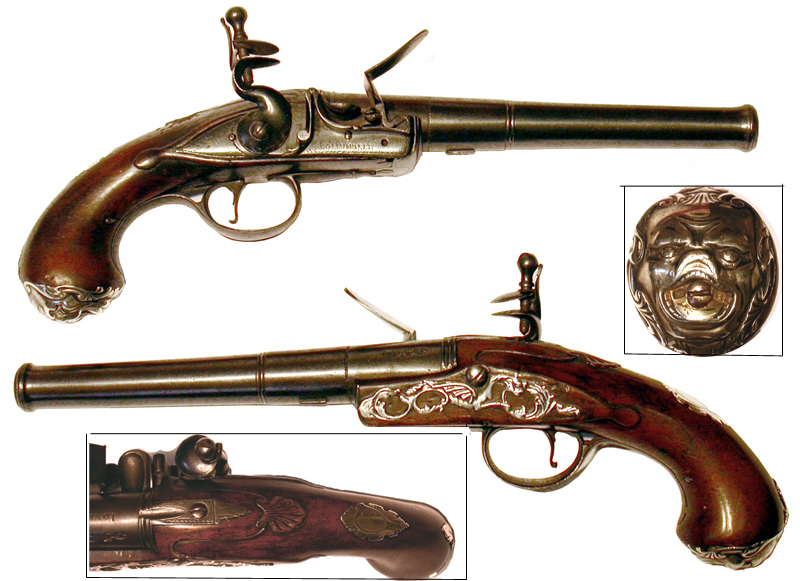 The ‘Queen Anne’ style pistol is distinctive in that it does not have a ramrod. The barrel of the pistol unscrews and allows it to be loaded from the rear and near the touch hole. 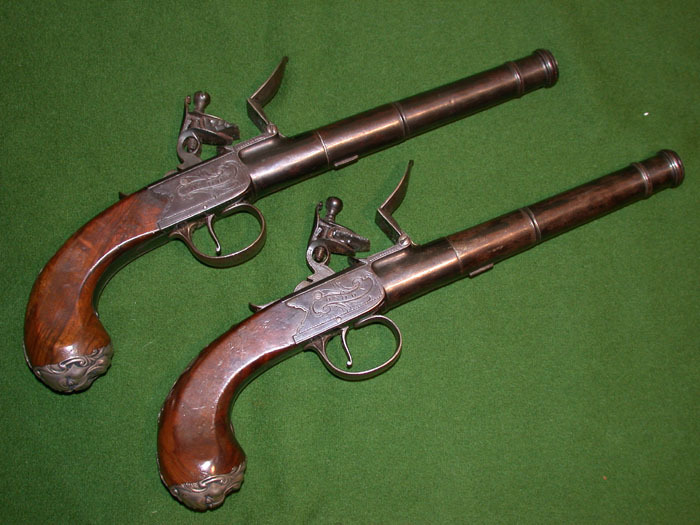 These pistols are made in either Dog Lock or Flintlock styles. The Queen Anne pistols were very popular and were made in a variety of calibers, usually about 38 to 50 and were often highly gilded and decorated. Boot pistols, Holster pistols, pocket pistols and Sea Service pistols were all made in Queen Anne style. This type is known as a Queen Anne pistol because it was during her reign that it became popular (although it was actually introduced in the reign of King William III).